The Borg Bracers are an essential staple in any LARP or medieval reenactment wardrobe. 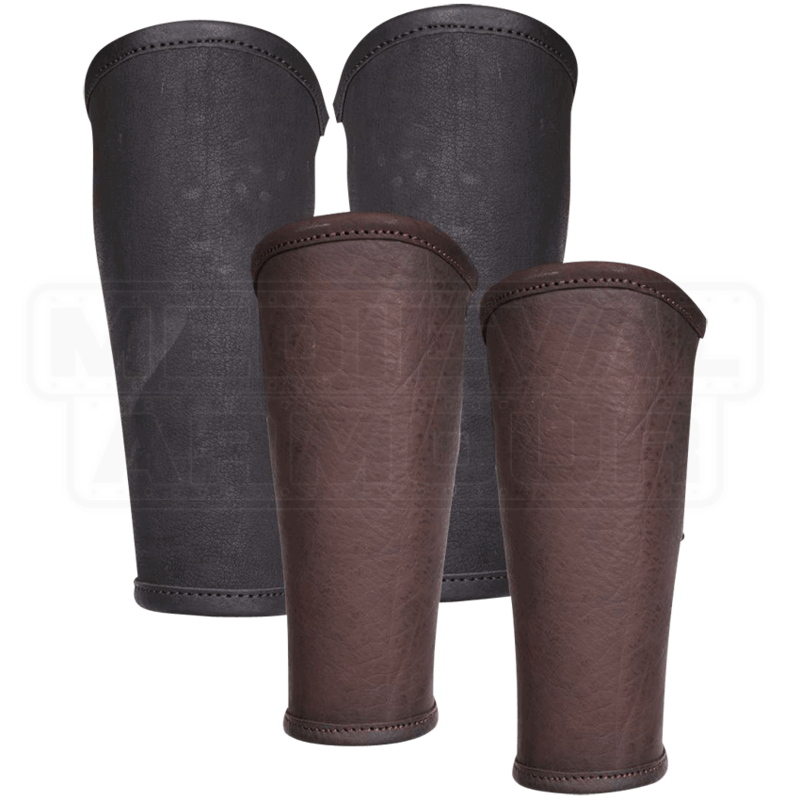 Made of high-quality leather, these bracers are sturdy and versatile, as their classic design allows them to match almost any outfit. They are intended to be worn over shirt sleeves and are fastened to the forearms with cords laced through ten eyelets, five on each side. 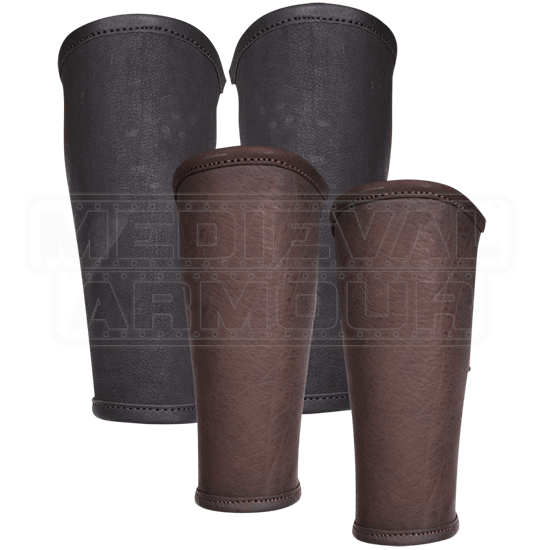 The wearer can thus freely adjust these leather bracers to suit their size. Sold in sets of two, these light armour pieces are available inblack and brown.